​Maintaining and cleaning a Persian carpet can be an exceedingly difficult task – in order to keep your valuable carpet clean and in tip-top shape, it's advisable to hire our professional cleaners instead. We regularly deal with all kinds exotic and expensive carpets and have therefore developed a wide palette cleaning methods. 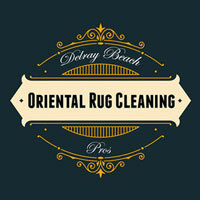 Our Persian carpet cleaning process starts with a markedly thorough inspection assess the material from which it was made, the kinds of stains and spots it harbors and whether any dyes could bleed during the cleaning, allowing us to ascertain a cleaning process most suitable for its specific state. If your Persian rug is relatively old, is made from sensitive materials like camel hair or is fragile, then we will focus heavily on our dry cleaning process. If the carpet is in good condition or is sturdier, our trained cleaners will feel free to hand wash carpets with more rigor. After carefully washing the carpet by hand, we thoroughly rinse it using pH neutral water to remove any cleaning residue. Then, the carpets are hung in a temperature-controlled room for drying purposes where we use a combination of air circulation, heat and dehumidifying processes to remove every last presence of moisture – we understand the importance of your Persian carpet being fully dried before being returned to you, as it prevents the formation of mildew or mold in our absence. Lastly the carpets are groomed using a brush with soft bristles and with a grooming method specifically designed to give Persian carpets the unmistakable shine that they deserve. 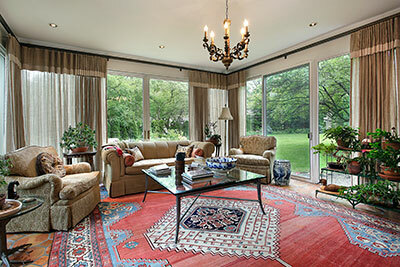 Persian carpets come from far away and bring a very distinct type of aesthetics for which they are widely renowned. 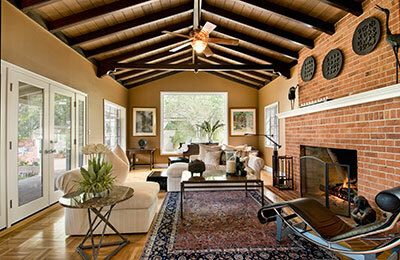 Their exotic status also tends to carry with it a high price, making these rugs an investment above anything else. Since you wouldn't treat any other investment poorly, it makes sense to give your Persian carpets the best possible treatment to preserve their value. With our help, your expensive Persian piece will not only retain its high value but will also appreciate as time passes, making it a great choice for a heirloom item. Persian carpets should be thoroughly washed and deeply cleansed for tough stains at least twice each year, depending on your daily traffic. However, regular care and maintenance by professionals is also mandatory to preserve the carpet, especially if you have children and/or pets at home. Portable steam cleaning equipment connected to a power socket sprays steamed water, mixed with cleaning chemicals, onto your precious carpet while a powerful vacuum dries out the moisture, making the entire carpet look tidy and sanitized. This must be cautiously used, however, as there are chances that the steam will shrinks the fabric of your hand woven Persian carpet – not to worry, as we will produce the optimal cleaning method for your individual carpet after a thorough inspection of its fabric. Wet cleaning generally takes longer, as it will take some time for the soaked carpet floor to dry completely, although there is no other choice in cases where the carpet is severely polluted or features a high risk of bacterial infestation. A common dry cleaning procedure involves very low moisture and consists of gentle, labor-intensive scrubbing and is ideal for cleaner Persian carpets or those that can't be soaked in water. Due to water-soluble agents like d-limonene, glycol and petroleum, cleaning is done more efficiently as these agents do not attract dirt as shampoo cleaning does, making this method outstanding for vulnerable fabrics. Encapsulation is another dry cleaning procedure that consists of a polymer formula breaks down the dirt particles into small pieces. After the solution dries, it hardens and breaks into crystallized form which can later be removed with simple pile lifting or vacuuming. This is again ideal for carpets without a lot of dirt that wouldn't benefit from a thorough rinsing. These are just some of the methods we use and are meant to show you the wide variety of techniques at our disposal. Regardless of the method, no job is ever rushed, as we don't believe in anything other than taking our time when dealing with expensive Persian carpets that might very well be one-of-a-kind. Whereas working with another cleaning company always brings a risk of your carpet being ruined, we can guarantee that your carpet will be returned in perfect condition, not just free from any new damage but also thoroughly cleaned of any pollutants that might have been robbing it of its beauty.